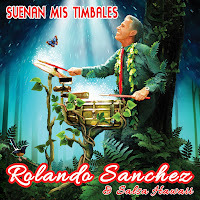 Rolando Sanchez and Salsa Hawaii: Victoria Taylor Murray's Mini-Interview w-Rolando Sanchez "King of Salsa Music"
Hello Rolando. Thank you for answering a few questions today. I appreciate it very much! Victoria thanks for having me. Okay, first question... Q. At what age did you know you wanted to get into the entertainment business? I remember as a very young boy in my country I used to pretend to be one of the Beatles and try to sing Beatle songs in English, and also bang on my mother’s pots and pans (always got scolded) so the Idea was with me from a very young age as both my parents loved music, sang and played piano, but for me the decision to become an entertainer was at about 29-30 or so! Q. Did you have a mentor or did anyone special influence you? If so who? My main influences were my parents and one of my aunts that always wanted us to come to her house after school and listen to her play piano and also the radio...music was always in the house, I grew up with Cuban, South American and international Latin Music blaring everyday...influences...Tito Puente-Celia Cruz-Santana-and so many others as I love all genres of good music! Q. Your music is unique in its own special genre... why did you choose that genre to get into? I believe that my choice happened naturally as I’m Latino and at the time the Latin Music wave was hitting the US like mad, with Santana, Malo, and so many others coming out of the Bay Area that at the time was my home...so it was kind of natural for me to get into the Latin Music genre...and as time went by kind of developed my own style of writing and playing! Q. Rolando, how many musical instruments do you play? Q. How many song or albums have you recorded? And do you have a favorite? If so which one? 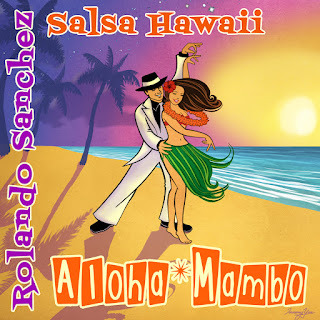 Of my own about 5-6 (if I remember correctly- I will have to go back and double check) and over 20 others as Guest Artist for other projects...but I have had my original “SALSA HAWAII” CD re-released about 2 different times with a Record Label from England that put my Music in over 50 countries around the world. Q. (Big Sigh Here), Hawaii! As you know my grandson Micah was born there. So I went to Hawaii to meet Micah and spend time with my beautiful daughter-in-law Yuko and my son Michael. I knew the moment my plane landed, I was hooked on your beautiful Island Paradise. I plan on retiring there someday...one can dream! While I was on the island I noticed several film makers doing their thing... one of which was the..."Hawaii Five O" cast members and crew (a few of which I met at the time) very nice and very laid back. I've certainly met my fair share of "celebs" in my day but never have I met any more friendly and relaxed than the Five O bunch! Was it my imagination or are all-the-fine-people working in Hawaii cutout that way? Once you become a resident here...ALOHA takes over...and oh yes I have been in many of the TV shows there in Hawaii including “Jake & The Fat Man” “One West Waikiki” “Off the Map” and others....still trying to get in the new Hawaii Five O Show...I was also in a Movie called “Fists of Steel” that was filmed in Honolulu and also had a song on an Independent Movie “Spanish Moth” had two original songs used on the TV show “Burn Notice” and on many TV and Radio Commercials in the Islands! Q. What's next for the ever-so-popular Salsa Entertainer? Thanks again Rolando for sharing today! Look for Victoria Taylor Murray's Best-Selling Novels on Amazon.com!